I’ve been fascinated by this story ever since John Carreyrou started untangling its web of lies a few years ago. His book “Bad Blood” came out last year. ABC’s multi-part “The Dropout” podcast was released earlier this year. A new documentary airs on HBO tonight. 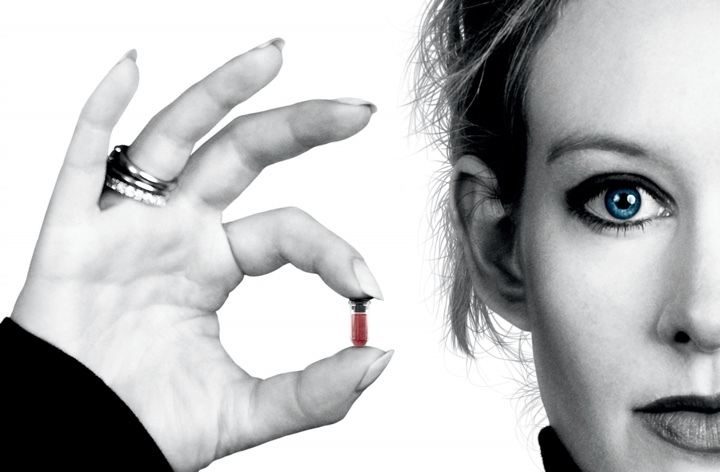 And at some point in 2020 there’s a movie with Jennifer Lawrence playing Elizabeth Holmes. You can see it as a story about a misunderstood genius who, against all odds that the heavily regulated environment threw at her, tried to push for a tremendous innovation in the field of blood testing. You can also see it as a story about a misguided idealist who was willing to lie through her teeth as her carefully crafted house of cards started collapsing with absolutely nothing she could show the world – or even her investors – that could back up her crazy dream. We need the crazy innovators who are not willing to play by the rules of old industries. But we also need some educated adults in the room that should provide guidance on why those, perhaps outdated rules, are there to begin with.